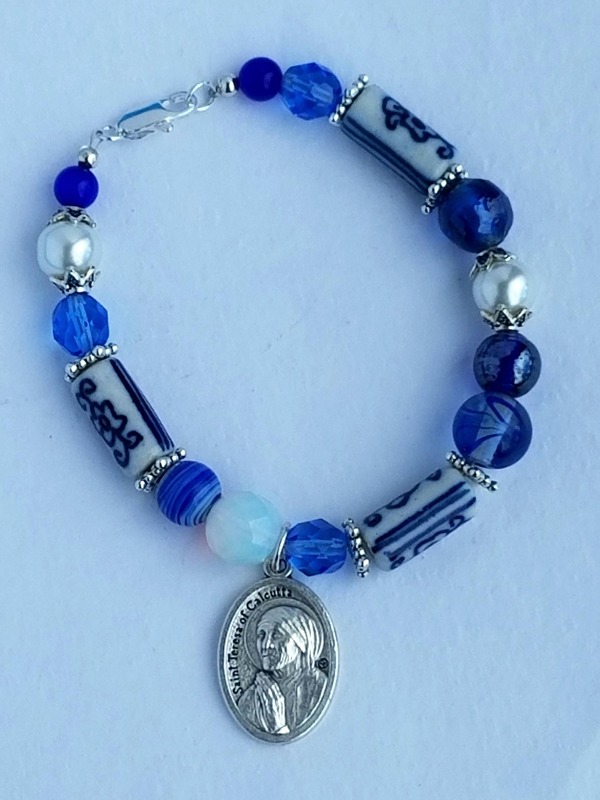 Catholic Jewelry St. 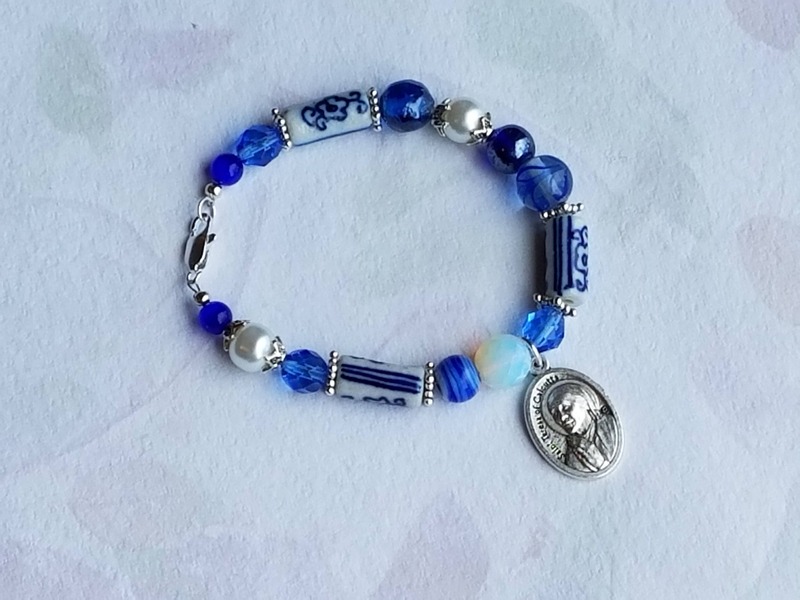 Mother Teresa of Calcutta Bracelet in Blue and white glass beads. 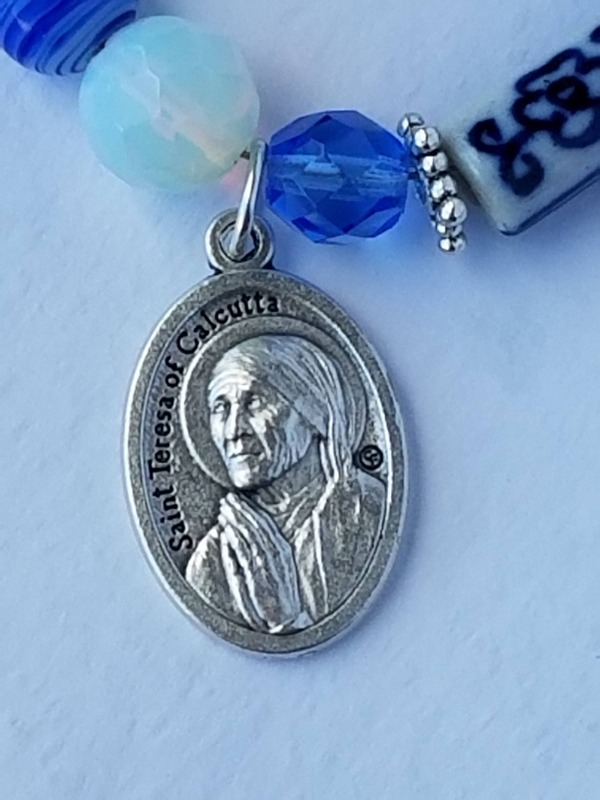 Mother Teresa Patron Saint of Calcutta and doubters. 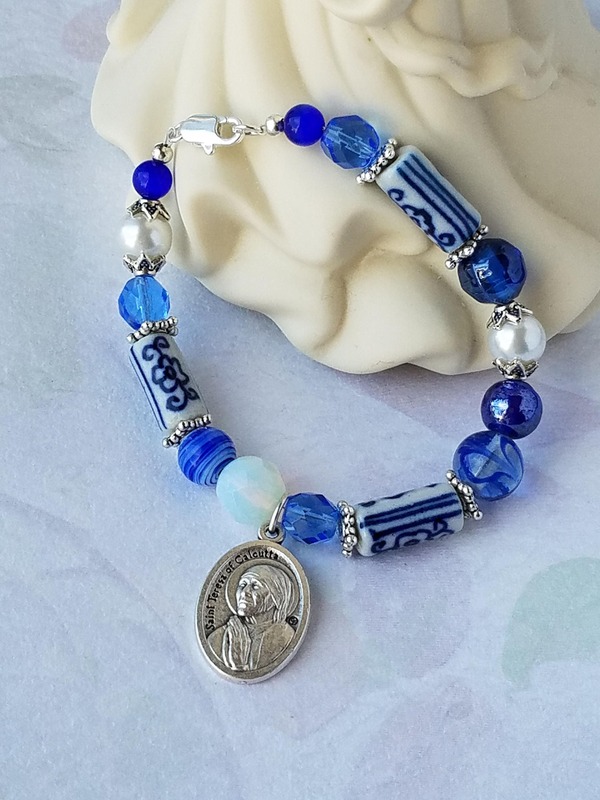 Teresa Bracelet a Mix of Blue and white assorted beads, glass pearls, Czech fire polished glass, pottery glass and more, 7 1/2 in. 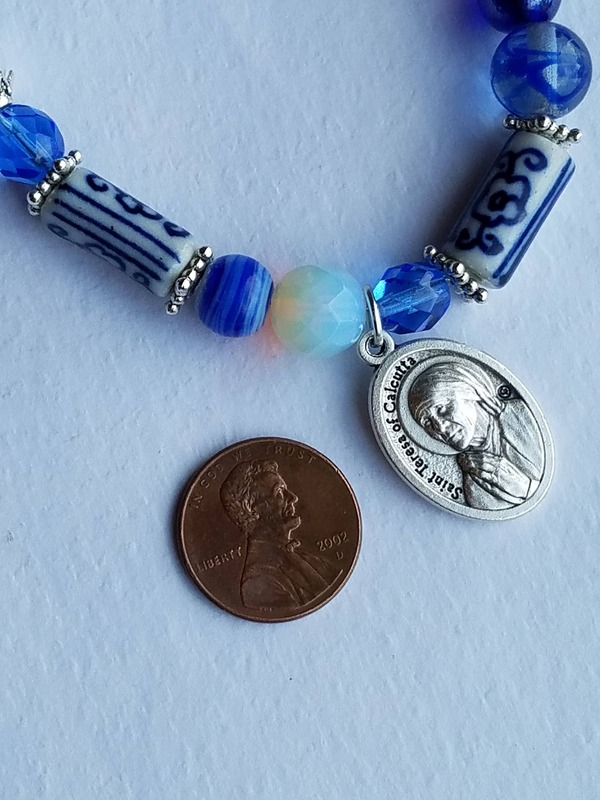 Bracelet with a St. Teresa Of Calcutta Metal (made in Italy). 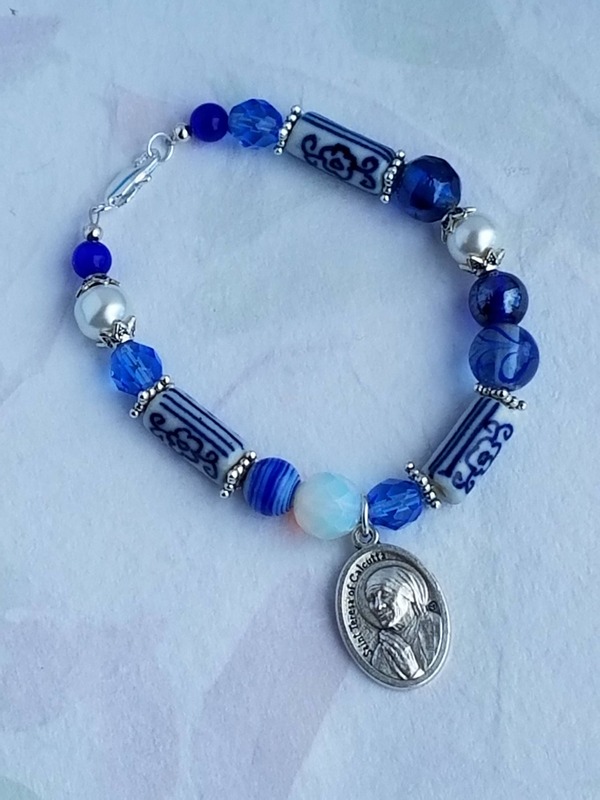 Catholic Saint, Charm Bracelet with clasp. 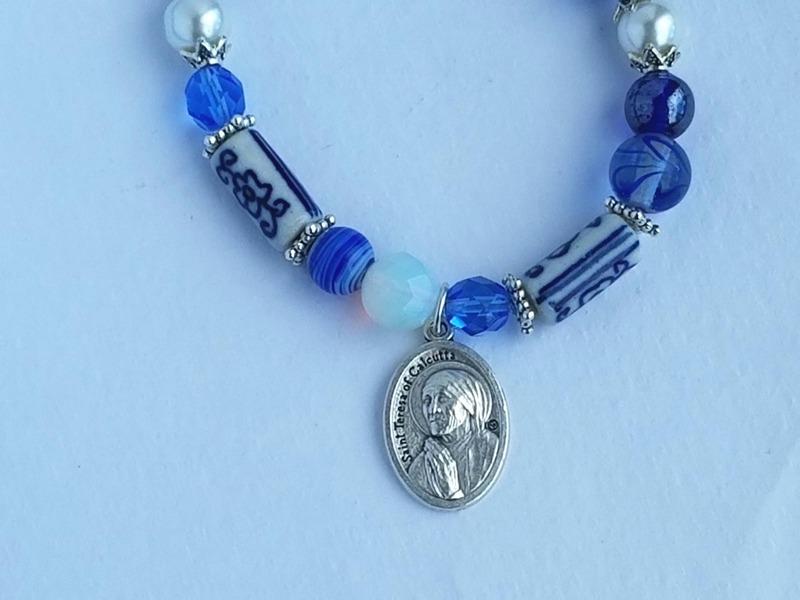 Great affordable gift for Mother's Day or Confirmation! 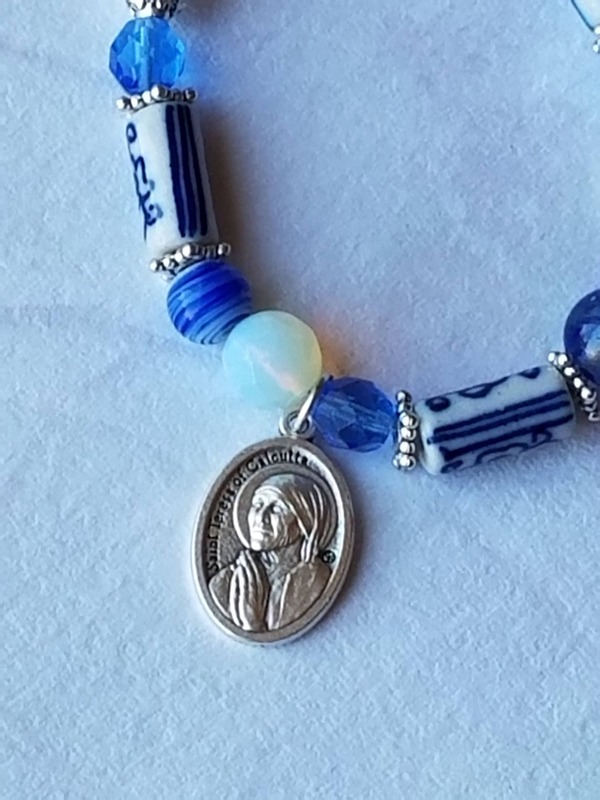 Perfect for teachers, care takers, coworkers or anyone with a devotion to Mother Teresa. 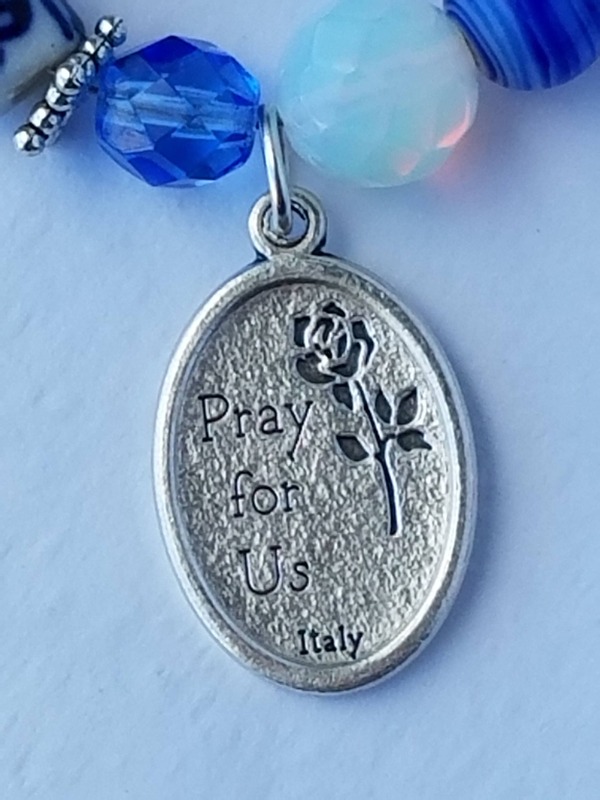 This bracelet is one of a kind ans is ready to ship.